Three Dragons Martial Arts Academy may collect information, such as your e-mail address, name and phone number. Information about your computer hardware and software also may be automatically collected. This information can include your IP address, browser type, domain names, access times and referring website addresses. This information is used by Three Dragons Martial Arts Academy for the operation of the service, to maintain quality of the service, and to provide general statistics regarding use of our website. Three Dragons Martial Arts Academy welcomes your comments. If you would like to stop receiving messages from us, please contact us at kathjones3dmaa@gmail.com. Beginner to advanced Martial Arts and Self Defense Classes in the Vista Lakes, Conway, & Lake Nona area. Reserve your complimentary preview class today – limited spots remaining! I was introduced to Three Dragons Martial Arts by our neighbors Meredith and Jay who have a son (Eli) the same age as Timothy. Timothy is a bright, happy and rambunctious 7 year old. In school earlier this year he was having some issues concentrating on schoolwork (as he much preferred to talk with his friends). He was also lacking in focus and following direction. After talking with Matt Stewart (Head Instructor & Co-owner of Three Dragons with his wife Tiffany) on the day of Eli's birthday party held at Three Dragons. I was super impressed by his interaction with the children. He has a passion for Taekwon-Do and helping each student be their best self that is obvious from the moment you meet him. Mr. Stewart is 100% dedicated to teaching his students of all ages, capabilities and walks of life, the tenets and the art of Taekwon-Do. Both Mr. Stewart and his wife Tiffany took the time to sit with me and discuss my long-term desires for Timothy's future. They were engaging, understanding, very helpful and informative. They offered me a complimentary introductory class for Timothy to assess his abilities so they could determine the best personal small group for him based on his maturity and development stage. 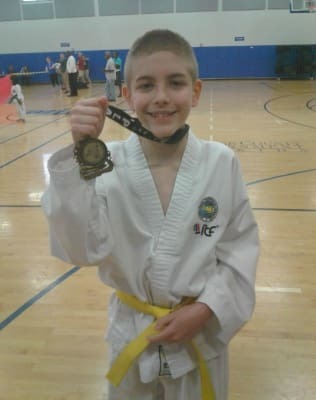 Timothy had attended another local Martial Arts school for several months last year. I was not happy with the school; style of teaching, class structure (all ages mixed together), extra charges for this and that, and the process they used for advancement through the belt ranks seemed to just involve the children attending classes. Here at Three Dragons the children have a curriculum and objectives to become proficient in before they can advance. 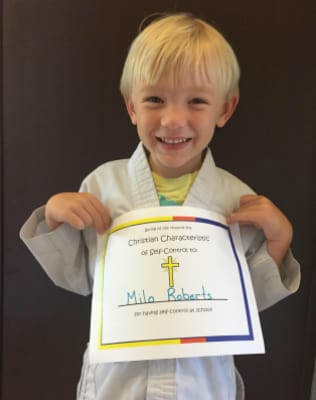 A real sense of achievement is truly felt when they earn a stripe or a new color belt. After 2 months of Timothy attending Three Dragons I could see the differences in his behavior both at home and at school. He was becoming more focused and following directions given to him with less drama. 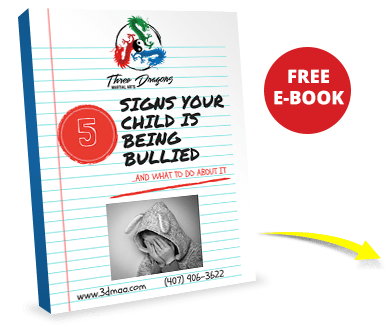 His first grade teacher told me she had noticed the positive change in his behavior in class and asked for more information about Three Dragons to pass on to other teachers. Timothy is not only becoming a more focused individual but is learning valuable life lessons each week. He is interacting with other students of different capabilities and cheering them on when they do well. The family group here at Three Dragons is strong. I would also like to say that my experiences with Mr. Stewart, Tiffany and the Three Dragons group are wonderful. Timothy and I very much feel part of the Three Dragons family and we are continuing our journey with them for the long term. I believe with Mr. Stewart’s expertise and passion Timothy will one day achieve the coveted black belt rank and become an upstanding, passionate and dedicated young man.